What I have in my collection at the moment is an older 1980s bottle (which stands for vintage these days. Just kill me now). This Edmond Roudnitska creation for Dior dates to 1966. If it weren't for the heavy dose of oakmoss that radiates from Eau Sauvage this fragrance could have passed for a modern day masculine. Well, almost. 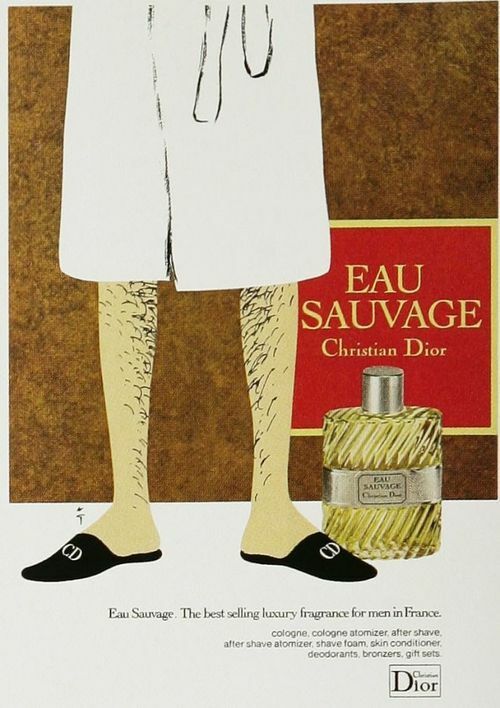 You see, the first thing you smell in Eau Sauvage is herbs and bitter citrus notes. It feels like a refreshing and light green little thing, kind of like (vintage) O de Lancome or a less cute Eau de Givenchy (you guessed it, vintage). But this is a Roudnitska fragrance, and as Victoria mentioned in her Eau Savage post on Bois de Jasmin, it's also the harbinger of Diorella. 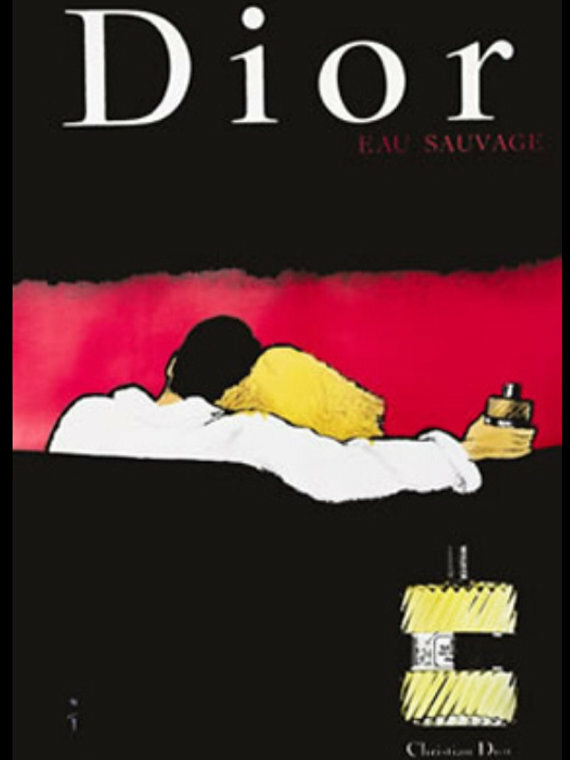 There's that Dior complexity and sophistication, a layer of something almost unsavory lurking under the thick and velvety oakmoss, some skin and dirty leather that make the respectable gentleman wearing Eau Sauvage more mysterious. There's no question about the masculinity of Eau Sauvage. It's also greatly appealing to anyone who adores chypres and dry green fragrances. It's been a while since I smelled the current version, but the oakmoss and the heavier base were definitely missing, making Eau Sauvage more of a summer treat than a scent for thought. Notes: lemon, petitgrain, rosemary, jasmine, lavender, basil, musk, vetiver, oakmoss. 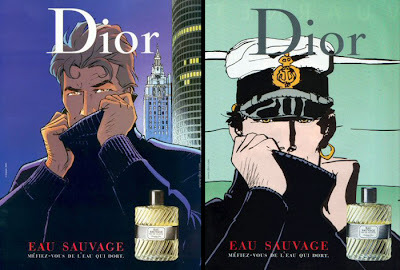 Loved that Corto Maltese ad, I'd never seen it before. 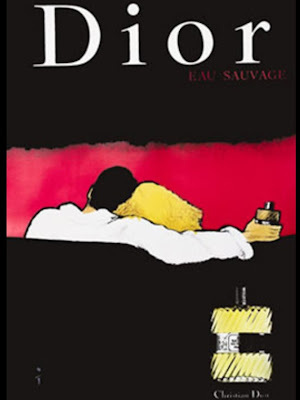 I know at least one guy who'd run and douse himself in Eau Sauvage after seeing that. I remember several friends of my mom wearing this when I was a teenager (late seventies-early eighties) living in Madrid. My mother was, back then, a Loewe 2 wearer. No citrus for her. Eau Sauvage is one of my great loves and one of the first masculine scents I ever had the courage to try. Of course, I was instantly smitten, but I tend to adore all things oak moss. I would love to get my hands on a vintage bottle.